Starting your own business can cause a huge drain on your finances. There always seems to be a new expense popping up, and costs may be consistently higher than you anticipated for your business’ basic necessities. Encountering higher startup costs can be frustrating, but there are some ways you can counteract this problem. One thing to do is to look for ways to lower your costs across the board. Here are nine money-saving tips to help you get your small business up and running. One popular cost-cutting measure for a new company is to start with leasing equipment instead of purchasing. The reality about a new business is that it can be an uphill battle to success. Start off slow and with a lower risk to your finances with leasing your expensive equipment rather than investing in a large purchase. If you are not already doing so, you need to track every single expense. Tracking expenses is the absolute best way to save money, and it does not require knowledge of ratio analysis. When you record everything you buy, you are able to see how easily little expenditures add up. You can track expenses using an Excel spreadsheet, a money tracking app or old-fashioned pencil and paper. This is one of the most useful, and important, money saving tips you will ever come across. Next, if you’re running low on funds, consider forming a partnership with a business associate or company. Make sure your potential partner has the same type of business and financial goals as you do. Your partner should also have the necessary means to help push your business through the first few months or years. Before you commit to any type of legal partnership, be sure to consult your attorney and read your contract over very carefully. Next, consider hiring independent contractors instead of traditional salaried employees. For some organizations, it makes more sense to use the services of independent freelancers instead of on-site workers. This approach can help save your company thousands of dollars in employment taxes and payroll. Make sure your company’s structure meets the guidelines that are required to employ the use of independent contractors. Some business owners need to cut back on their own personal expenses before they consider starting a new venture. If you enjoy a luxurious lifestyle, you may need to cut back for a while until your company is ready and stable with a sizeable profit. There are many cases of business owners throwing their own money into the business in the beginning stages to reach the next level. If you want to bring your business to the next level, you should definitely bootstrap to get it done. Hiring new, talented graduates can also be a way to save some money for your new venture. Instead of the high salary that experienced MBA engineering employees may demand, new graduates can come on board at an entry-level pay rate, saving you money at first. As your employees start making things happen and bring success to the company, you may be able to start paying them better with your new levels of profitability. Another easy way to save a few dollars is with online banking. Banking as a business can be much more expensive than personal banking. There are often higher fees and additional costs to companies that conduct a large number of transactions or deals. If you switch to a primarily online bank, you may be able to qualify for a lower rate on your business accounts. Online banks have lower operating costs, and sometimes pass on the savings to their customers. Next, you’ll need to seek some financing terms for business lines of credit or large purchases at startup. Shop around for low introductory rates on business credit cards or promotional periods with lines of credit. You may even qualify for government subsidies on loans for your business, lowering your cost significantly. When you choose a checking account for your bank, you can save time and money. First off, you can order checks online which are much cheaper. This way, you can get access to a key financial tool for your first few months of operations and save money on ordering costs. Getting business checks online helps to protect small business owners against fraud while allowing for a greater variety of design options. Many new businesses do not start advertising right away, but if marketing is key to your success, you can start small and with little cost. Choose digital means of advertising that you run yourself, and you can save big on your promotions and campaigns. Use social media accounts to get the most out of your time and effort. Starting a new business can be a stressful and challenging time. If you keep your mind focused on getting more for your limited budget, you could make your money go far and your company reach success. 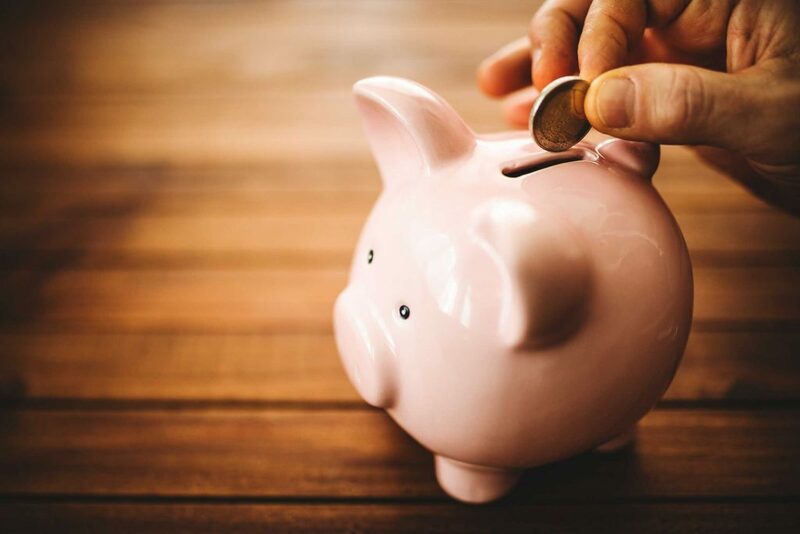 Use these money saving tips to save money for whatever your business needs, whether it is an additional ad campaign or a new piece of equipment.